The tech sector is renowned for high-stress and fast pace. But is this taking a toll on our mental health and how do we protect our teams - and ourselves - while still getting the job done? Resilience and mental health aren't just jargon - they're key to both a safe work environment and performing at your best. Ignore them at your peril. Mental wellness in the workplace expert Richard Whitney will outline how to protect you and your team's mental health and build resilience. As well as real-world stories, Richard's talk will include practical solutions, best practice guidelines and strategies for creating a safe workplace. ITP is funding these sessions with a clinical psychologist to promote resilience and mental wellness in the tech sector. Bring your team. This talk is absolutely not to be missed. Following the presentation there will be an opportunity for networking over light refreshments. 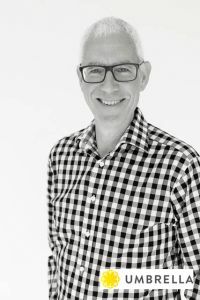 Richard Whitney is a Registered Clinical Psychologist with Umbrella, one of NZ's leading corporate wellbeing consultancies. As both a training facilitator and coach, Richard gets alongside people to support their personal growth and professional development. He is passionate about how teams can come together to work more effectively, particularly during organisational change and growth. Richard's ability to translate psychological theory into relevant anecdotes and examples is rated highly by his clients. In particular, he utilises the scientific research of resilience, wellbeing and mindfulness to help individuals and teams be at their best. Over his career, Richard has worked with a wide variety of businesses from a range of industries, including IT, health, law, manufacturing, government and engineering. He also managed the human resource development function of a large national company which has informed his commitment to evidence-based practice. ITP would like to kindly thank KPMG for supporting this event.